Endurance racing is maybe the most challenging form of motorsport racing, it’s meant to test the durability of cars as long as the endurance of the participants. If you add to the mix 3 different classes of cars and one of the toughest, narrowest and most difficult racetracks in the world, you get Bathurst 12 hour, at the Mount Panorama Circuit. As we mentioned in the weekly report, we took the decision to race in this event only 3 days before the race. 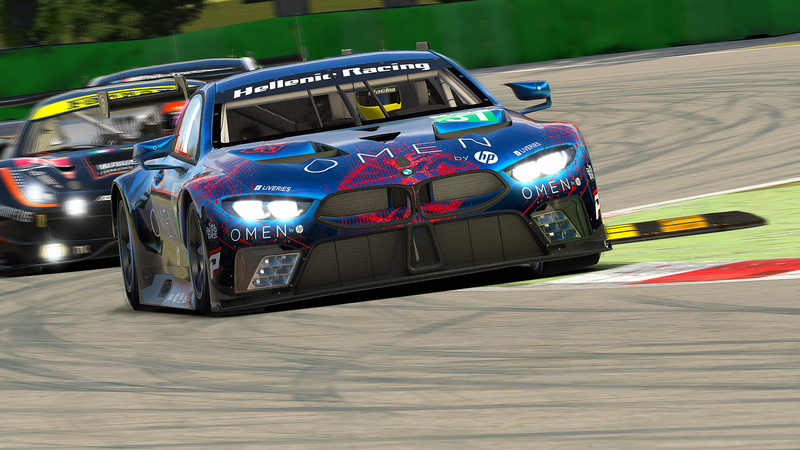 One reason was to use this experience to clear our minds from the 12H sebring practice and the other was to practice race strategies and make stints in a really compelling event, hosted by Elliot Meme. Andy Perrs was selected for the qualification for our team and managed to get a 2:04:585 on his second lap that put Hellenic Racing on the 7th spot of the grid (18 cars in class A, 44 in total). Alexander Voß took the pole for CORE Motorsports. 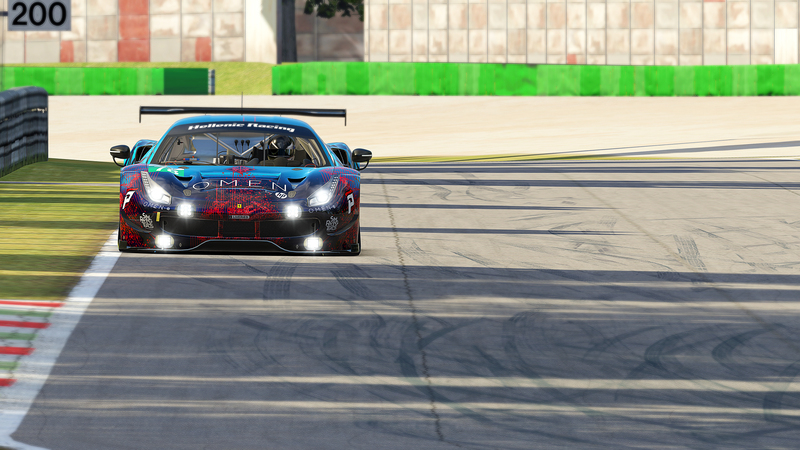 The start of the race was without any dramas and Andy was able to gain a spot in the first corner passing Momenum4Life team and held it nicely even after the first pit stops of all teams. The challenges of trying to pass fast and cleanly the cars from other classes (Ruf C-Spec and Kia Optima) in the narrow uphill and downhill turns of Mount Panorama were breathtaking. On 46th lap CORE had to retire their car and we along with other teams went up one place now in p5. After 62 laps Bill Kazantzas took over from Andy to do his first stint and Pavlos Vezirtzoglou followed him for a well performed incident free stint. 5th team stint from Bill was really fast and managed to make the best lap time of the team in lap 136 with 2:05:438. The middle of the race found Andy Perrs behind the wheel and during the first six hours we constantly swapped positions with Momentum 4 Life team when each team had to loose time in the pits. 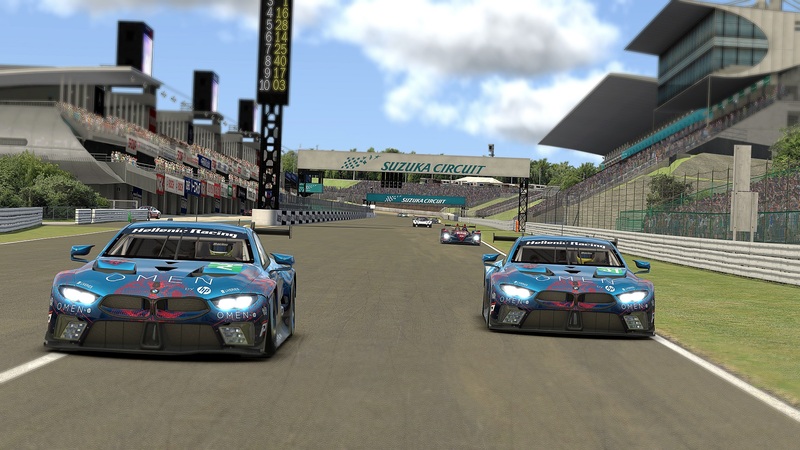 It was time for the our forth driver George Alamaras to get in the car in a very critical time when M4Life managed to close the gap between us. The race was intense for the two cars, having close bumper to bumper action while lapping slower cars of all classes. During the last laps of his stint George felt that the car had lost it’s stability and the grip was just not there in some fast corners. On the top of the mountain, during the fast left turns, a wrong pass above a curb sent the car towards the wall and that could mean the end of the race for us, if George could not react to it quickly and skillfully. The car went the other way and hit the opposite wall with significantly less damage. 15 minutes was our total time in the pit-stall and new strategies for the rest of the race. This incident separated us from the first places and closed the gap that we had from Glacier Racing (they had a technical failure early in the race that forced them to lose many laps). Pure Racing Team, Mad Cow Racing, and Black Star Racing were steady in the first three positions. Pavlos made his last stint and then Andy was responsible of bringing the car to the checkered flag. Coming to the last hour of the race, both Mad Cow Racing and Black Star Racing suffered from the brutal character of the mountain and lost places when one had to finish the race early and the other to spend time in the pits for repairs. On the other hand Glacier’s drivers were driving very fast and it was inevitable to lose a place from them until the end of the 12th hour. The pass that completed 3 laps before the white flag, rose some disputes between the two teams in the Grey area of defending the line and making contacts. The final 4th position is really a good result but on race debrief we could see that with some different decisions during the race we could be fighting for the second place until the end. The outcome of the race is very positive having in mind the short period available for training, the lack of millage in the track from the 2 drivers and the last minute change of work schedule of third one. We fought the whole time and we did not quit when bad luck came around. Paddock TV did live coverage of the event with French and English commentary. Here are the race videos in HD.